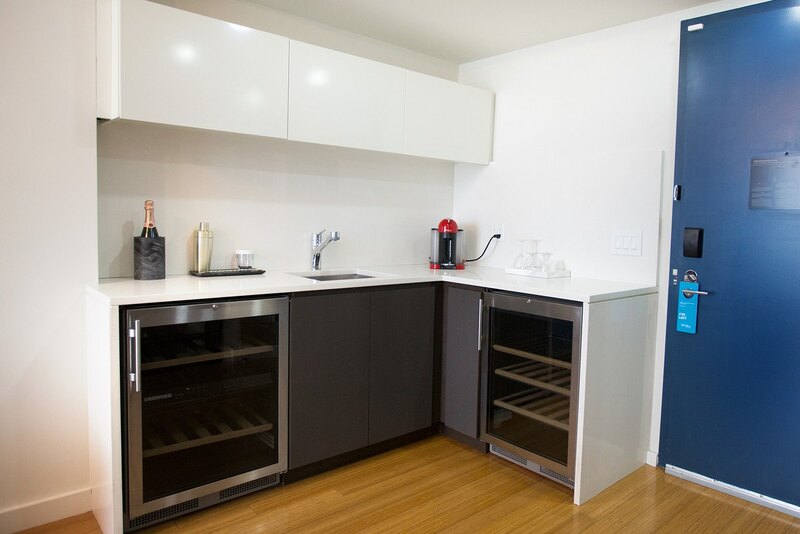 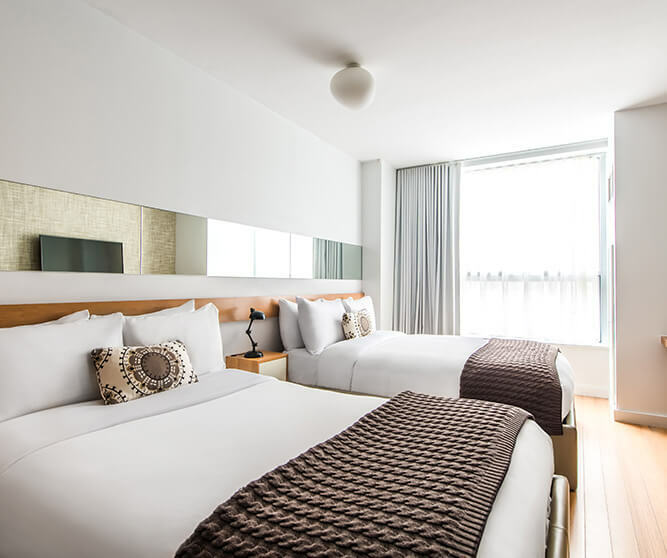 Enjoy views of McCarren Park or swimming pool (subject to availability) from our Superior Queen with Balcony room featuring Garnier-Thiebaut linens, a glass-enclosed rain shower with luxury bath amenities, complimentary Wi-Fi, and flat-screen TV with on command movie channels. 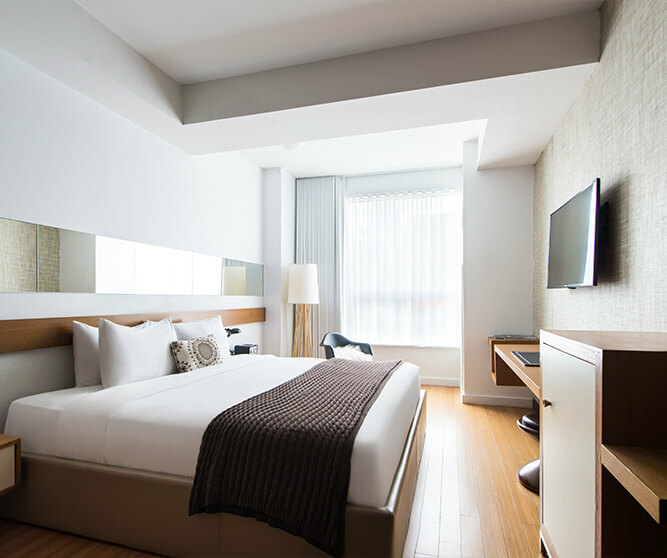 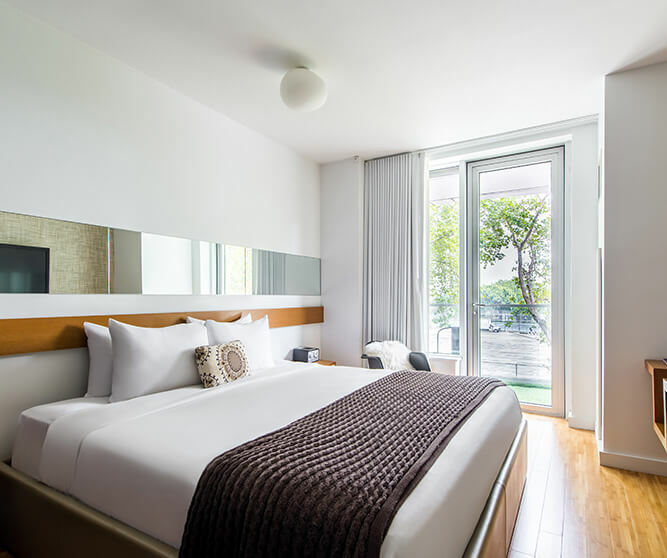 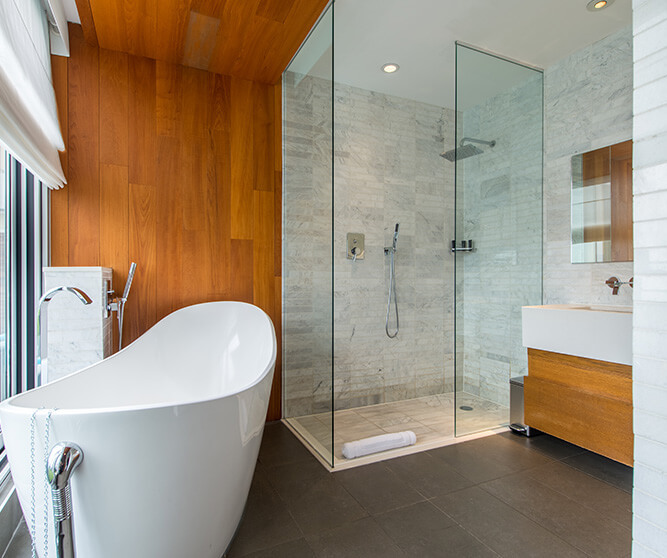 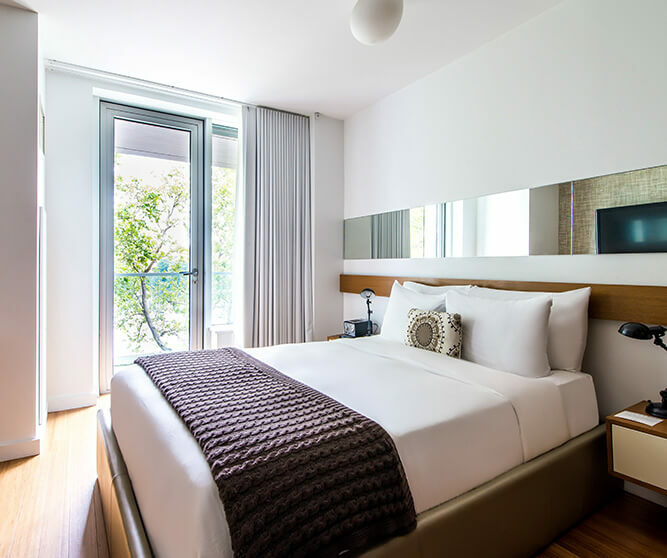 An urban oasis, our Deluxe King room features Garnier-Thiebaut linens, a glass-enclosed rain shower with luxury bath amenities, complimentary Wi-Fi, and flat-screen TV with on command movie channels. 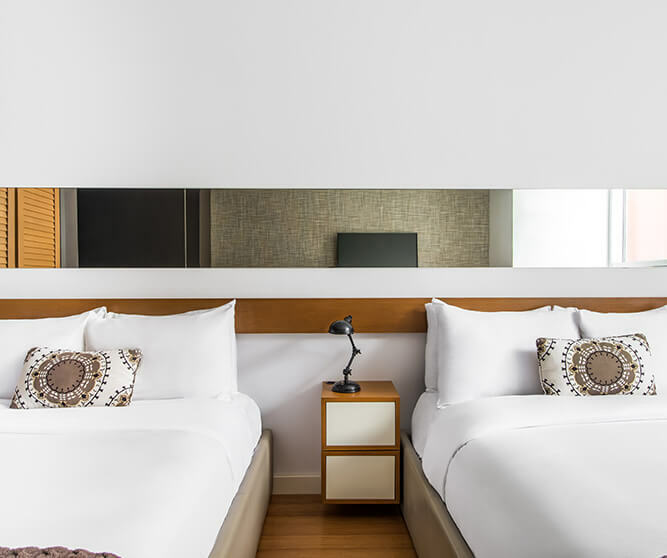 Ideal for families or close friends, our Deluxe Double Double room is furnished with two full beds with Garnier-Thiebaut linens, a glass-enclosed rain shower with luxury bath amenities, complimentary Wi-Fi, and flat-screen TV with on command movie channels. 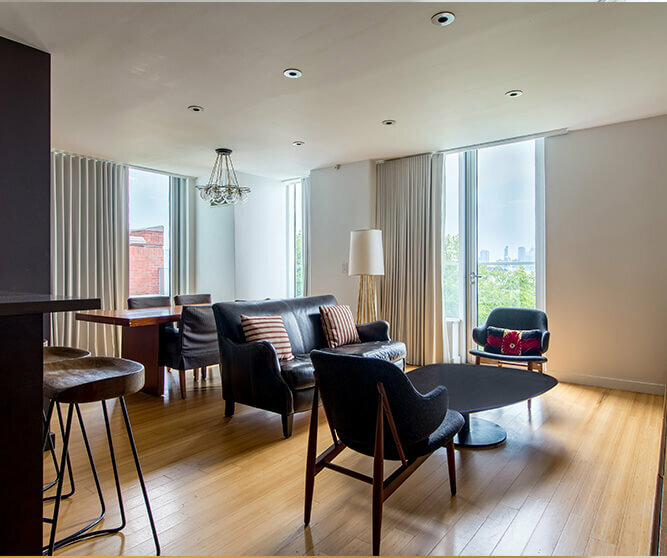 Our One Bedroom King Suite (fit for a king!) 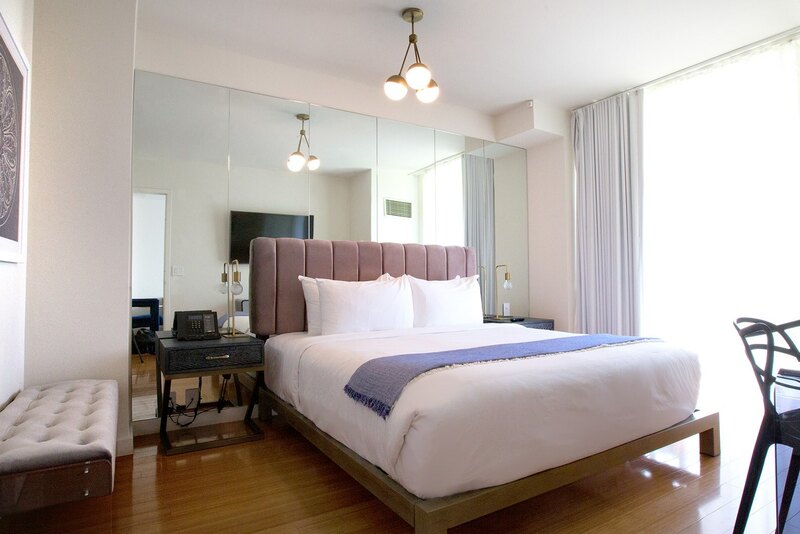 features a king size bed, Garnier-Thiebaut Linens, a glass-enclosed rain shower with luxury bath amenities, complimentary wifi, flat screen TVs with on-demand movie channels. 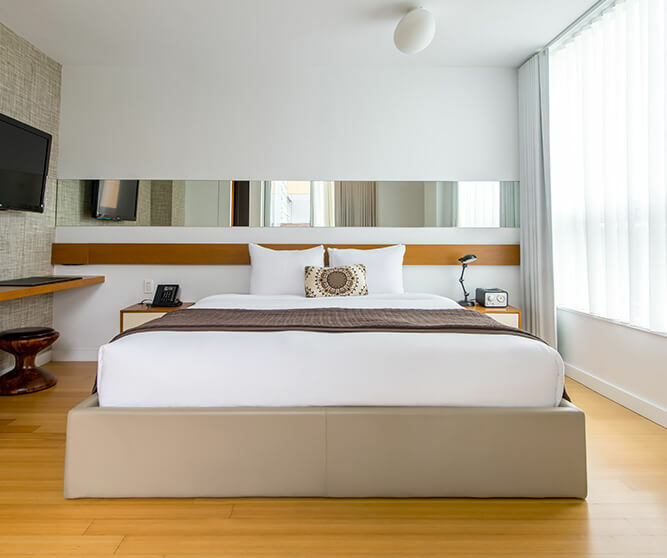 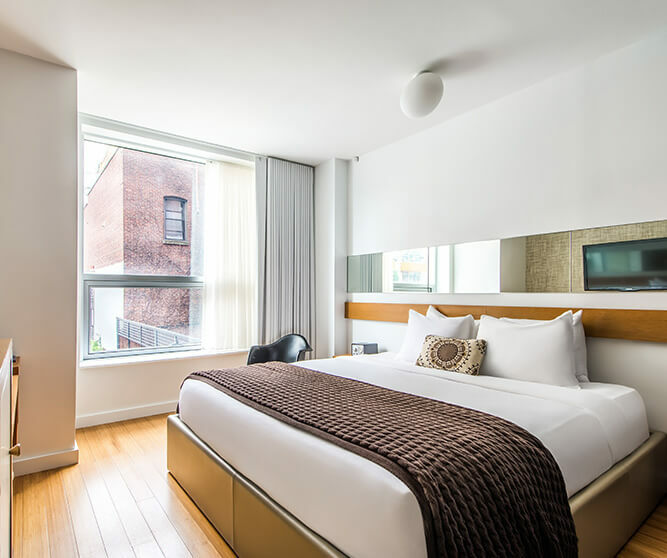 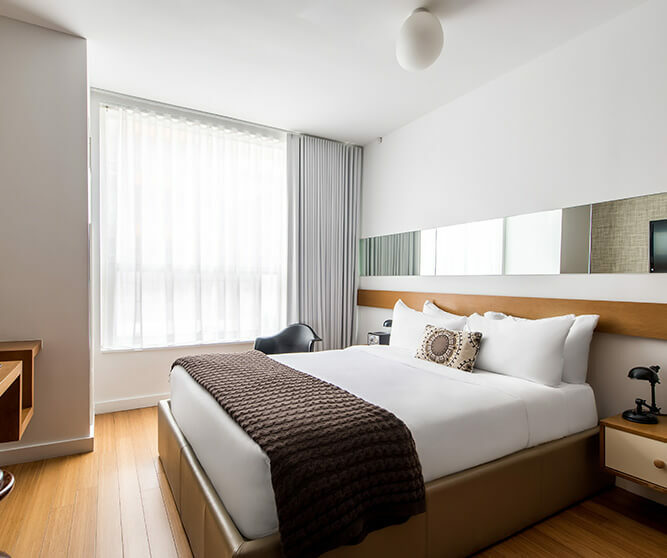 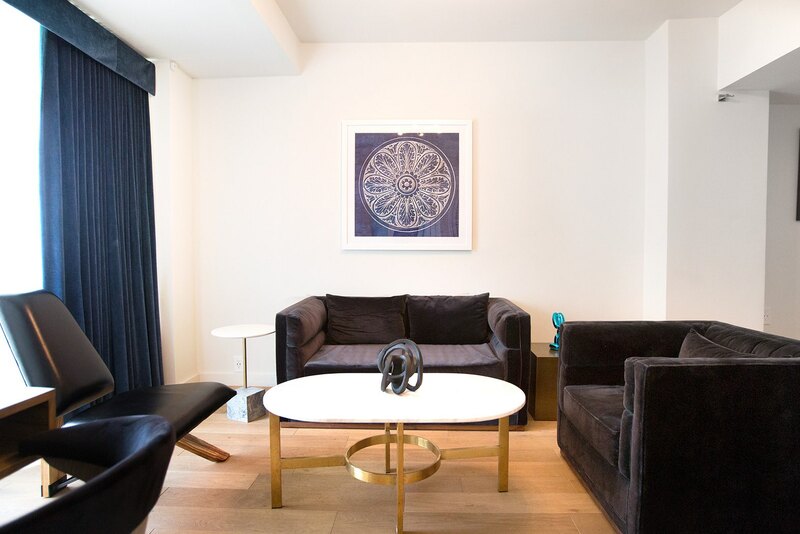 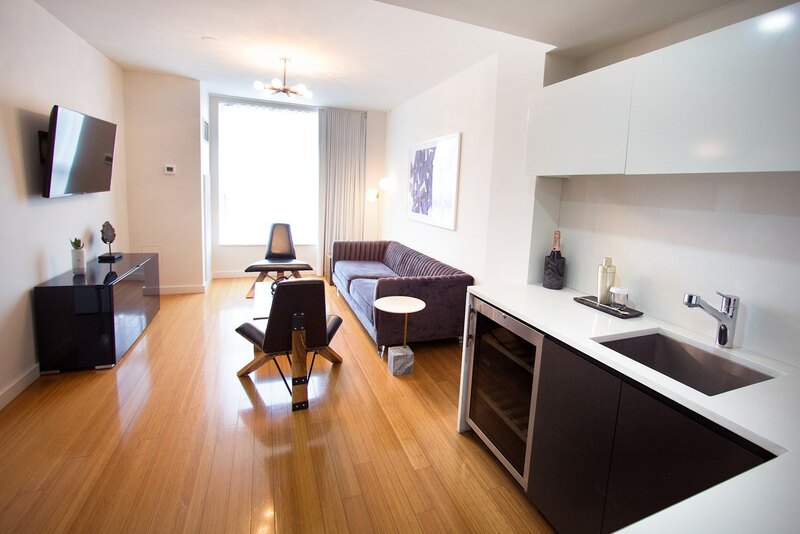 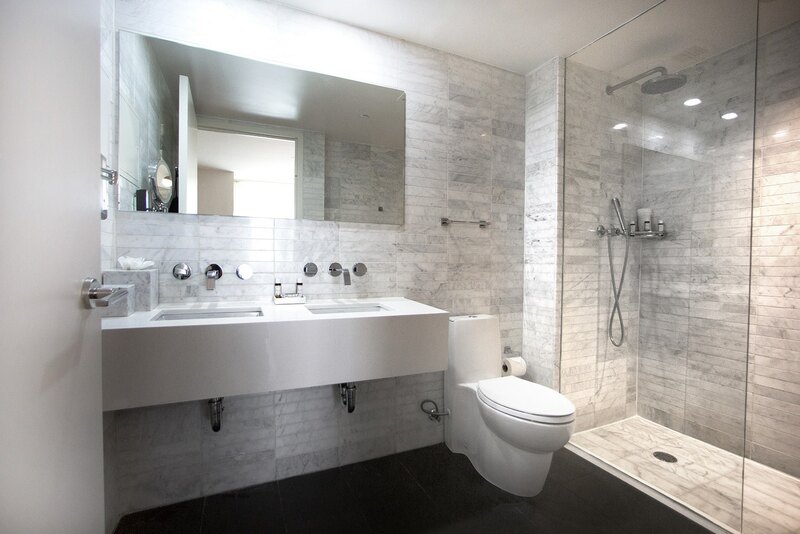 Offering views of McCarren Park or the pool, our Superior King with balcony room features Garnier-Thiebaut linens, a glass-enclosed rain shower with luxury bath amenities, complimentary wifi, flat screen TVs with on command movie channels.